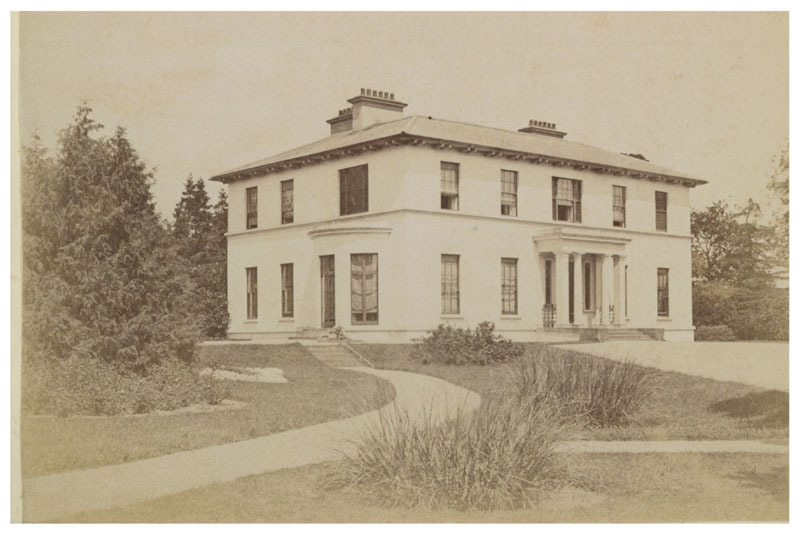 This website is devoted to the Croasdaile family who lived at Rynn House, Rosenallis in the Irish midlands, their ancestors and their descendents. It is work in progress based on original research carried out by my aunt, Maureen Clay, in the 1980s and on subsequent research carried out both in Ireland and on the internet. It is work in progress; new information comes to light all the time, so if you have anything to add to this site please let me know. Contact details are at the bottom of the page. It is not academically rigorous, but where I am unsure of facts I have highlighted areas of speculation or less-than-rock-solid sources. The origins of the name pre-1628. In her research Maureen Clay came across an investigation by a lawyer based in Denver, Colorado. She transcribed his document, which I in turn scanned and transcribed. The results can be found here (click image). Thomas Croasdaile. The first mention I can find of the Croasdaile family in Ireland is Thomas Croasdaile. He is mentioned in a case heard by the High Court of Parliament in 1713, in which it is found that he had acted fraudulently in executing the estate of Sir Henry Waddington, who in his will described Thomas as a "kinsman". The appellant in the appeal was another Thomas Croasdaile, who I believe was his son, born around 1668 and brother of Henry (born 1660). Details of the case can be found here: http://books.google.co.uk/books?id=z8YuAAAAIAAJ&pg=PA459#v=onepage&q&f=false. According to Burke, Thomas was MP for Athenry in 1661 and High Sheriff of Galway in 1672. 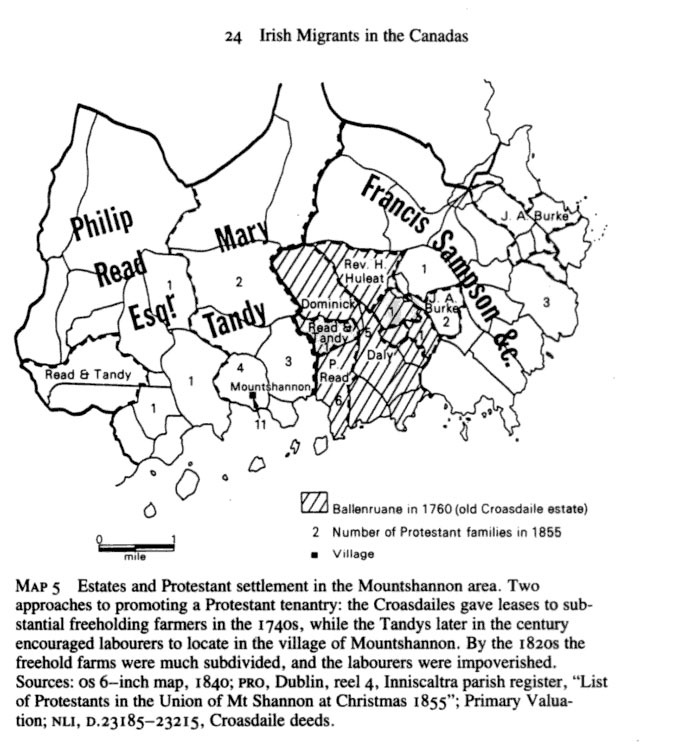 However, according to the Trinity College Dublin Down Survey of land-ownership in Ireland in 1641 and 1670, no Croasdaile owned land in Ireland. His children were Elizabeth, Richard, Henry, Thomas and John. Richard had a son also called Thomas who served at the Battle of Ramillies. Henry Croasdaile. Henry was brother of Richard, Thomas (referred to above in the court case), John and Elizabeth. He lived at Ballinroan and Clochstocken, Co Galway, was married to Alice, and died around 1699. His children were Thomas, Alice, Richard and Henry. Henry Croasdaile. Henry Croasdile was the eldest son of Thomas. His siblings were Despard and Richard. In 1727 he entered Trinity College Dublin, thus maintaining a Croasdaile tradition started by Thomas, his first cousin once-removed, in 1697 (reference: Alumni Dublinenses by Burtchaell & Sadler, ISBN 1855069539 London, 1924, http://www.scribd.com/doc/94119104/Register-of-students-graduates-professors-provosts-of-Trinity-College-Univ-of-Dublin-1593-1846. 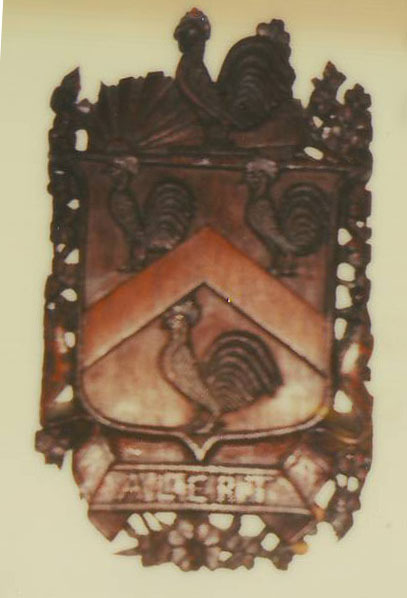 According to Alumni Dublinenses his father was "an Armiger" from Mellick, Queens Co., someone entitled to a coat of arms. Henry married Mary Despard, and their children were Richard & Henry. He was High Sheriff of County Galway in 1744. According to "Irish Migrants in the Canadas" by Bruce S Elliott, "In 1742 Henry Croasdaile of Woodford, and few miles to the north of Ballenruane, secured title to that property by paying the debts of his uncle. He moved to Ballenruane soon after and began actively to develop the estate, operating iron works there and leasing large portions of the estate for lives to farmers ..."
"...It appears that Croasdaile brought these families in from County Clare, to the west...."
"Thus the Croasdaile estate in Clonrush was planted with a small but socially and economically dominant class of Protestant freeholders." 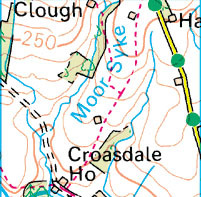 A map from page 24 of the book is included below. The map shows part of the north shore of Lough Derg in Co Clare. Henry died at Woodford, Co Galway in November 1778. Richard Croasdaile. Richard Croasdaile was born around 1740. He was brother to Henry. He married Elizabeth Sandes in September 1775. Their children were Lancelot, Edward, Elizabeth, Mary, Henry, Thomas Pearson, Catherine and George. Richard lived at Woodford Co Galway and at Rynn, Queens County which he inherited following the death of Pierson Croasdaile in 1785. He was a soldier (rank of Colonel) and a plantation owner in Jamaica, was High Sheriff of Queen's County in 1772 and of County Galway in 1775 (source: Burke's Irish family records). Lancelot Croasdaile. Lancelot Croasdaile was born in 1778 on Jamaica. He was brother to Edward, Elizabeth, Mary, Henry, Thomas Pearson, Catherine and George. In 1795 Lancelot entered Trinity College Dublin aged 16. His father is listed as Richard, "Generosus", of noble birth. He married Susan Brownrigg. Their children were Richard, John C and Elizabeth Ann Croasdaile. In 1810 he was sheriff of Queens County, and in 1811 was High Sheriff of Queens County. John C Croasdaile. John C Croasdaile was born in 1830 at Rynn, Rosenallis, brother of Richard and Elizabeth Ann. He was an Army Captain in the Queens County Rifles (http://www.thepeerage.com/p35201.htm#i352004), was appointed a magistrate on 18th March 1853. He married Anna Jane Townshend in 1858. Their children were Lancelot, Richard, Henry Frederick, John Ernest, Frederick George and Helen. John and Anna appear to have been keen ornithologists; John, as was the way in those days, is reported to have shot a crossbill. Anna reported on the sightings of sand martins and woodlarks in 1874 to Birds of Ireland (pages 51 and 101). More details on the Townshend family can be found here Townsend family. John C died on 7th October 1889 at Rynn, Queen's County. Anna died on 14th Dec 1916; she is buried in Dublin at Deansgrange Cemetery. Henry Frederick Croasdaile. Henry Frederick Croasdaile was born in 1863 at Rynn, Rosenallis. He qualified as a Merchant Navy Captain in 1910 in Dublin (http://www.history.ac.uk/gh/capsC.pdf). He moved to Liverpool and married Mary Ellen Lloyd. Their children were Anna Mary, John Lloyd, Lancelot, Violet and Frederick. Anna Mary died as an infant. Lancelot was killed in WW1 (1918); he was a private soldier. John Lloyd (Jack) followed his father into the Merchant Navy, serving as Staff Captain on the Queen Mary in 1939. His life thereafter was a series of tragedies, detailed here. Henry and Mary lived at several addresses in and around Liverpool between 1893 and 1906. 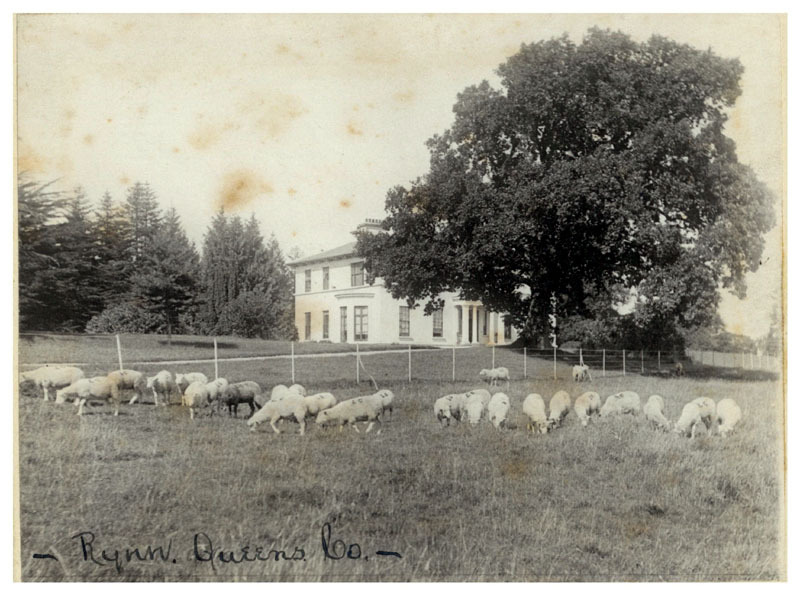 Thereafter they moved to Calmore in Hampshire, near Southampton. Violet Croasdaile. Violet Croasdaile was born in 1902 in Liverpool and was baptised on 1st June 1902 at St Michael in the Hamlet, Aigburth, Lancashire. She married Arthur Frank Moss on the 17th May 1924 at Netley Marsh, Hampshire. Arthur Moss was a Master Mariner with Elders and Fyffes, running banana ships between the UK and the West Indies. Their children were John Arthur, Maureen Rosemary and Avril Frances. Arthur died of an illness contracted in the West Indies in 1938 leaving Violet to bring up the three children on her own. John Arthur Moss. John Arthur Moss was born on the 25th May 1926 in Southampton. He moved to Mansfield, Nottinghamshire with his parents where he lived for the rest of his life. On 14th March 1956 he married Margaret Thompson from Newcastle. They had three children; David John, Peter Kenneth and Geoffrey Philip. He died on the 30th December 2005 in Mansfield.